Nanomedicines demonstrate the capability to enhance drug properties by offering protection from degradation, enabling controlled release and biodistribution and increasing bioavailability. In fact, the term "nanotheranostics" has been proposed to describe a new class of nanomedicines which integrates the simultaneous detection and treatment of a disease. Many creative approaches have been proposed to co-deliver imaging and therapeutic agents too. World Scientific's latest book "Nanotheranostics for Personalized Medicine" provides principles of imaging techniques and concrete examples of advances and challenges in the development of nanotheranostics for personalized medicine. 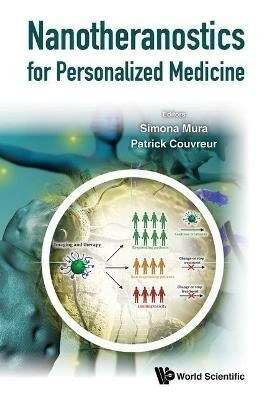 The chapters discuss combining imaging and drug delivery for the treatment of severe diseases, how non-ionizing nanomedicine can be used as contrast agents to increase sensitivity for medical imaging, and how the practical clinical utility is advanced in personalized medicine along with the capabilities and lessons learned for pharmacology and pharmaceutics. Readers of the book can also expect to read about the application of nanotheranostics in cardiovascular diseases and gene therapy. In addition, there will be a chapter on Plasmonic Nanoparticles-Coated Microbubbles for Theranostic Applications.